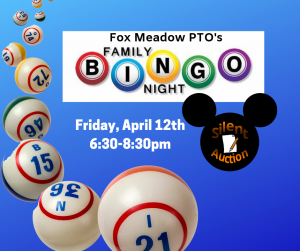 Friday, April 12th the Fox Meadow PTO is hosting Family BINGO & Silent Auction Night from 6:30-8:30pm. 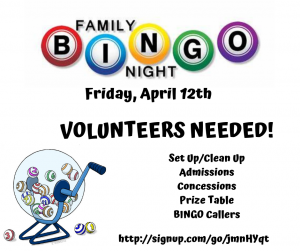 Seating is limited in the gym and a reusable BINGO Card may be purchased at the event for $2 each (CASH ONLY). 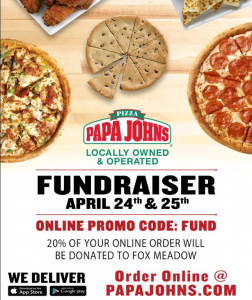 Fox families and businesses have donated some amazing prizes for you to chose from! The Silent Auction features DISNEY WORLD PARK HOPPER PASSES, Tiffany Earrings, RING Doorbell, American Girl Doll, and more! Silent Auction ends at 8:15pm and winners will be announced that night! Silent Auction winners may pay with cash, check, or Credit (Square). 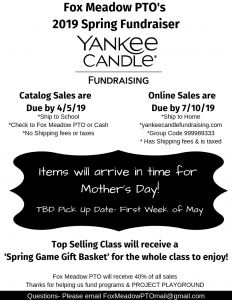 Let Fox Meadow PTO help you get ready for Spring and Mother’s Day with our NEW SPRING FUNDRAISER with YANKEE CANDLE! Here’s a link to a digital copy of Paper Catalog that is headed home! 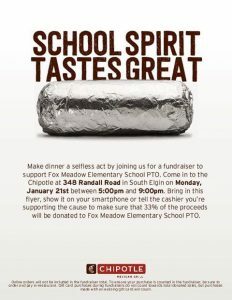 Fox Meadow PTO will receive 40% of all sales! This will help us continue to fund programs & PROJECT PLAYGROUND! Here’s a extra order form encase you need it! Thanks for your support! 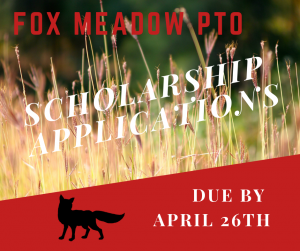 The PTO offers two $250 scholarships to former Fox Meadow High School Seniors who will be continuing on with their education. 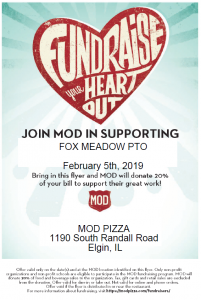 The Fox Meadow PTO is exited to host our 2nd Annual Daddy Daughter Dance- Love you to the Moon & Back. The Daughter Dance will be held in our school gym on Friday, January 25th from 6:30-8:30pm. Tickets are $15 per couple and $5 per additional daughter. Join us for an evening of dancing, dessert & punch, and a photo booth. The local Girl Scout Council will be there with a fun craft. 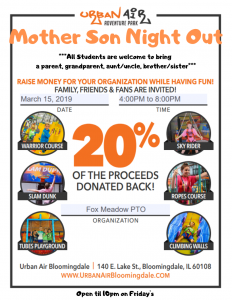 Presale tickets may be purchased by sending back the bottom portion of the flyer or at https://squareup.com/store/fox-meadow-pto ***All students are welcome to bring a VIP guest such as Dad/Mom, Grandpa/Grandma, Uncle/Aunt, Brother/Sister, etc. Volunteers are needed; please sign up at http://signup.com/go/BdYmxbv Debi’s Design in South Elgin is offering our school a Daddy Daughter Dance Special on corsages ($10) & boutineers ($2). To order call 847-695-4284 or stop in the store located at 1145 W. Spring Street (near Butera).